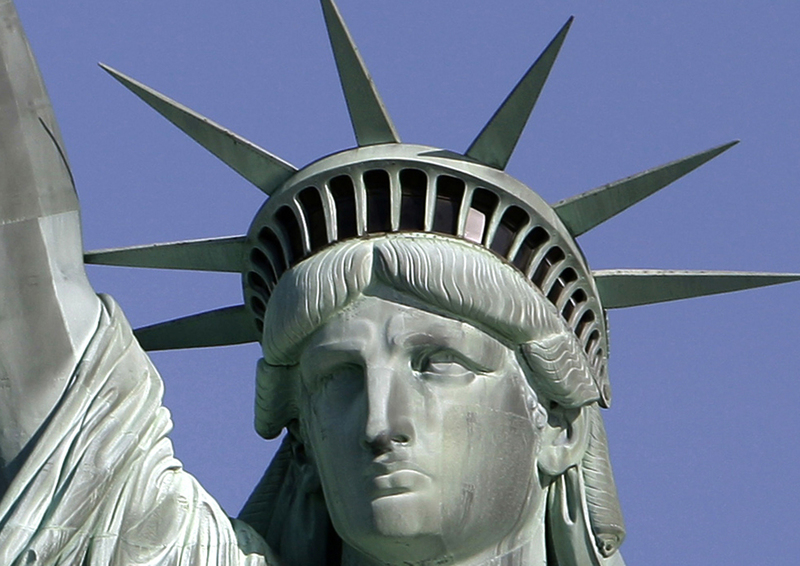 New York - The Statue of Liberty is set to reopen to the public on Sunday, the U.S. landmark’s 126th anniversary. The statue has been closed since last October for renovation to its interior, although the public has been allowed to visit its Liberty Island grounds in New York Harbor. The $30 million renovation that began last year included replacing the stairs to the crown and making them less steep. There are now 393 steps, instead of 354. For the first time, visitors using wheelchairs will be able to visit one of the observation decks at the top of the pedestal. National Parks Service spokeswoman Mindi Rambo said that is as high as it’s possible to provide wheelchair access while preserving the historic structure. The statue, a gift from France, was dedicated on Oct. 28, 1886. It was conceived to symbolize the friendship between the two countries and their shared love of liberty. About 3.5 million people visit the statue every year. Parks Service official said the renovations will allow an additional 26,000 people to visit inside the monument annually. Nice! I was in that crown about 15 years ago last. I visited the crown, of the Statue of Liberty, in June, 1969. There was a winding, narrow staircae, leading up to the crown. On the way up, I was concerned that someone might get stuck! I'm not sure if the staircase has been widened since that time? In any event, there was a very nice view from the crown. At one time, visitors were allowed to go the the torch, but the access to the torch was closed, for safety reasons. In April,1973, my wife and I visited Liberty Island, and we took some home movies of the area, with the newly opened World Trade Center towers in the background. The last time that I visited Liberty Island, in March, 2002, was not very pleasant. It was five months after 9/11, and the rent a cop, security screeners (prior to boarding the ferry), were exceedingly rude. They were worse than the TSA, if that is possible. They demanded that everyone remove their outer coats. The problem was that there was no place to leave the coats. Also, once we got to Liberty Island, everyone was closely watched by the Park Rangers. The visit to Ellis Island was much more enjoyable than the one to Liberty Island.